When an insurance company denies a claim based on an accident, injury or property damage, the reason may be evident, even if the details are buried in the policy’s fine print. But in other cases, the reasons for denial may be non-existent, unjustified, or made without proper notice. The carrier may try to delay payment of any benefits, or attempt to undervalue a settlement. 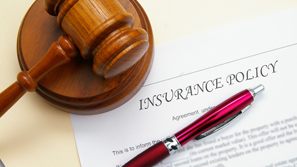 Depending on the facts and circumstances, there are many instances in which the policy holder may have a legitimate claim of bad faith against the insurance company. Not every denial by an insurer can be considered bad faith, and there is no uniform or clearly defined standard for what constitutes actions of bad faith by an insurance company. However, the attorneys at The Law Offices of Frank L. Branson regularly navigate the complexities of insurance policies and the state-mandated regulations that govern the insurance industry. Based on our background in personal injury law, we know the decision-making processes and priorities that insurance carriers rely on. If a business or individual has been treated unfairly, denied coverage without cause, or refused a reasonable settlement, our attorneys are prepared to bring a claim of insurance bad faith against the insurance carrier when necessary. To learn more about our experience in insurance bad faith matters, we invite you to contact the firm here.